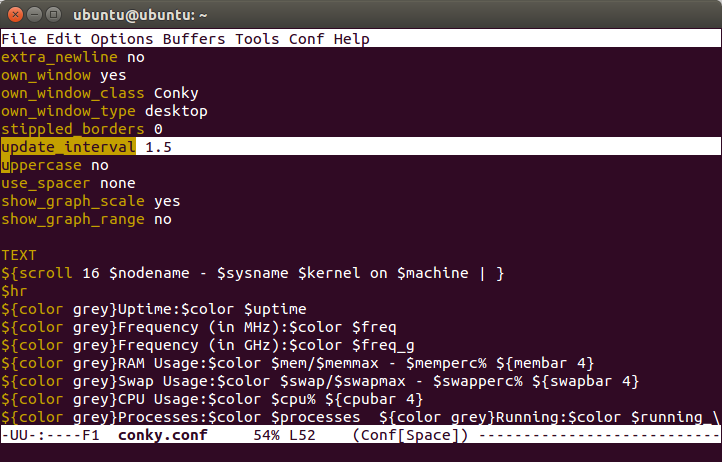 This article will introduce how to install Conky (a desktop widget utility) in Ubuntu. This including basic how to run Conky in background and to modify its interface. Hope this helps. PS: this command will download three packages with total 340 KB data in Ubuntu 15.04. PS: this command will run conky in the background so even if you close the Terminal Emulator it will not stop. 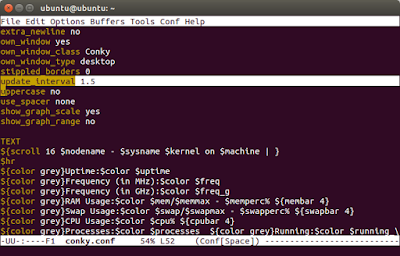 You can get the default configuration example in /etc/conky/conky.conf. In the beginning, you need a little exercise by editing some values such as color or update interval. Edit, then save this file, then restart conky & command to see the changes.